This commentary first appeared in April 2015 on the PCLab blog of Poland. As is customary for our own reviews, the writer's signature at review's end shows an e-mail address should you have questions or wish to send feedback. All images contained in this piece are the property of Dawid Grzyb or Trilogy. - Ed. Intro. This is one of those reviews – about a product whose inconspicuousness masks huge potential. Stereotypes associate good with big. Yet practice shows more than one tiny box which might stun us with its performance and overall quality. When I started researching the master chef responsible for today’s main dish, I began to suspect a rather tasty surprise. 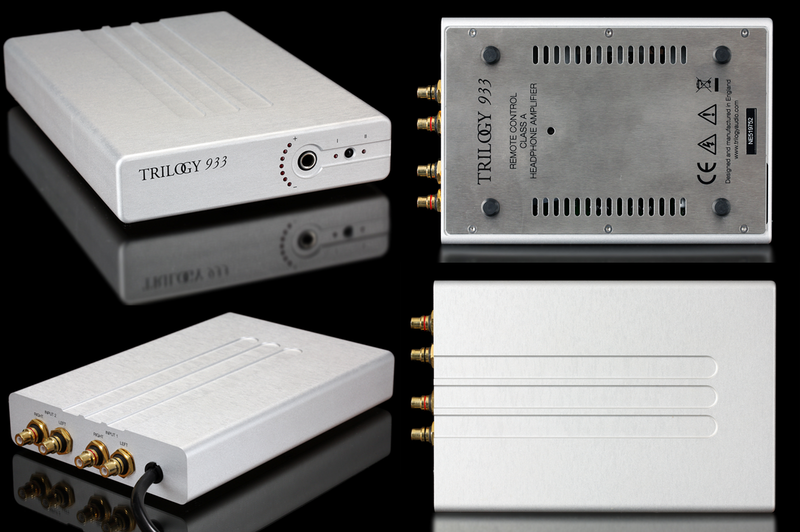 Voilà, the Trilogy 933 is on the table: a stunning piece of hardware, I assure you. Nic Poulson. Let's start with the man behind the Trilogy Audio Systems and ISOL-8 brands. Both are familiar to enthusiasts. As far as I know, Nic is a one-man orchestra. He's responsible for most things in his firms and product guts are his priority. "If you want something done right, do it yerself" has its place after all. We live in times where being resourceful pays off. Nic was born in England and spent his childhood in the village. As he says, there weren't many young folk about so he listened to lots of music on the radio early on. He wanted to have a better hifi but it was more efficient to learn how to make it than just go out and buy something. Nic built his first amplifier at seven with germanium transistors and car batteries. As a teenager he had a serious setup already. He went to college and earned the opportunity to work for the BBC, a legendary employer with many workers who eventually took a leap of faith and established their own successful audio companies. Poulson did as well. He was 23 when he founded Trilogy. If someone asks about the roots of the name, there's no big story behind it. Nic told me that he wanted something cool yet not connected to technical stuff. Trilogy passed the test. What's more, he mentioned amused "there is no three of anything :-)". Nic is connected to three firms. Along with two colleagues, he founded IsoTek. After three years their ways parted and Poulson launched ISOL-8 where Isol and Eight make isolate. ISOL-8 isolates utility power-related junk from fine hifi. 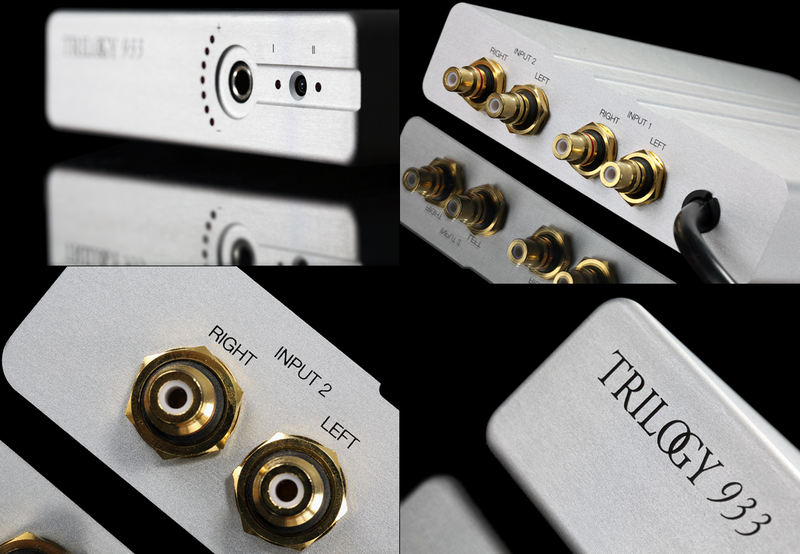 Trilogy and ISOL-8 both have very high R&D budgets. Nic invests his earnings into further research, be that economically correct or not. That's his way to success, perhaps a carryover from his days at the BBC. But that's not all. Trilogy’s owner had several other jobs in the past. Along with one of his friends, he established a company which took care of airport lighting. Two gents developed and produced waterproof high-current transformers and circuits controlling landing strips. On-site testing involved manoeuvring between planes as they landed and took off, taking quick measurements and then getting the hell out. That company sold successfully. More than 10’000 of its products were and might still be working in every most important landing zone in the UK. Even military facilities used Nic's solutions abroad.